I hope they aren't at some obscene time for us Europeans like it was last summer. For you, that would be 1am, 12:30am, and 1am respectively, I do believe. Could be worse. Well it's about the same as last year. but i don't mind, unless i have school the following day. Im trying to attend the game in washington. Granted most of the team won't be there because they'll be called up for south africa, It would still be nice to see them play again. Hey, some of our American cousins have to get up pretty early to catch some regular Serie A games. It's only fair we have some unsociable hours to deal with from time-to-time. Plus, any excuse to miss a day of school, right? Also, i just remembered that we are going to do the Emirates cup. I will try and go to that and watch the team. I'm interested in the Emirates Cup too. My mates an Arsenal and Milan fan so we're thinking of going. Wanted to go to the San Siro this season, Fiorentina at the beginning of May would've been the game of choice, but plans didn't come to anything. Emirates Cup would do nicley though! Question to M84, where did you get the tickets to the Emirates cup? Did you buy them from the Arsenal ticket office? Because i'm looking to go this year and watch Milan. Fav. Players: Maldini, Pirlo, Nesta, Zidane, etc. I did speak to the box office when it was first announced they said that tickets won't go on sale until the end of the world cup obviously because most teams would be missing their full compliment of players. When is the world cup? Seeing as this tournament takes place on the last day of July and August 1st. 1st group game is 11th June, the final is 11th July. Is there any away end or segragation at the Emirates cup or do all the fans sit together? Emirates Cup 2010 will see Arsenal joined by Italian powerhouse AC Milan, Scottish giants Celtic and leading French club Lyon, who are all sure to make this a hugely exciting curtain-raiser to the 2010/2011 season. It looks kinda strong I think. After season on tour in US and pre-season at Emirates. 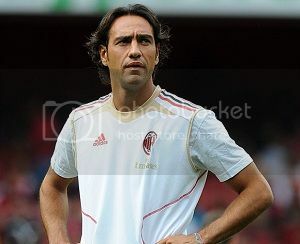 Hope we will field a decent team instead of Ambrosini covering CB one game and CF another. Or at least some of the back up guys can play a little.